Newly added features include: major speed and performance enhancements, ability to send transaction records to TeraCorp for online retrieval, support for Canadian 8-digit routing/transit numbers, BSA CTR E-Filing, new look and feel, touch-screen capability, updated CTR and SAR forms, free OFAC lookups, Point-of-Sale module, new scanner support, auto backup and CTR reminders, drivers license barcode reading, popup customer notes, cash drawer auto-pop, auto-scan without clicking a scan button, and much more! Click Here for more information. Visit our video library to view our other videos! Try a FREE working demo of TeraCash now! View the differences between TeraCash AVX and TeraCash Lite here. Get the latest software, hardware and package prices at our online store. View our Leasing and Rental options. ibitz is a flexible software application for backing up a variety of databases to a variety of destinations both on-demand and on a user-definable schedule. Windows client/server software to backup your popular databases to a variety of places! 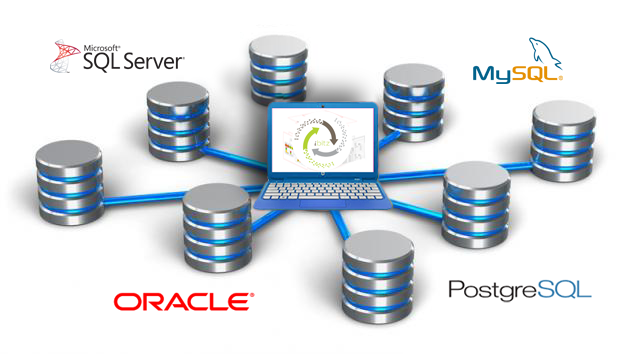 Try ibitz SQL, PostgreSQL, Oracle and MySQL server backup software for 14 days with absolutely no cost or obligation. We want you to try the best and decide for yourself whether ibitz is the best deal on the Web. After your 14 day trial, you can purchase ibitz for just $29.99 for a limited time. Click the ‘Learn More’ button below to learn more about the ibitz software. Working on a limited budget? TeraCash LITE is our economically priced check cashing software based on the same solid foundation as our TeraCash AVX software but for our smaller customers who don't require as many of the robust features as our full-featured product. Click Here for more information.